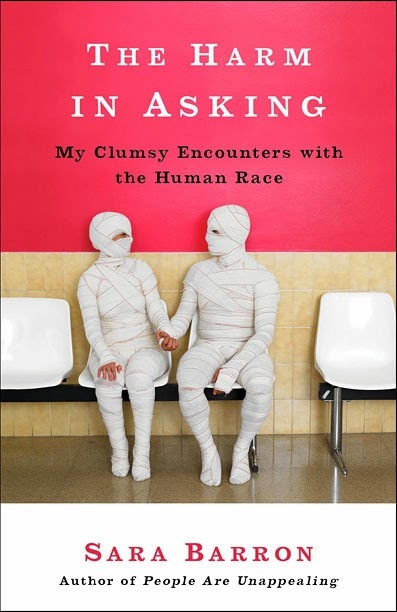 Today we're talking to the extremely hilarious Sara Barron, author of The Harm In Asking: My Clumsy Encounters With The Human Race, about her writing process, her mother, what she finds funny, her taste in music, and imaginary friends. First of all, I have to tell you I loved The Harm In Asking. Oh, thank you! I'm so glad. Tell me about your writing process. Have you kept a journal your entire life? Interestingly, I haven't. It's one of those things as an adult that I always want to do, and then I go through two-month periods and I never get back to it. It's not sustainable for me as a grown-up. But as a kid, I did a lot of diary writing. Not once I got into high school and once you get all the homework that you can get into. Prior to that, without writing restrictions set down on me, I would always keep diaries back then. You really expose yourself in The Harm In Asking. Is anything off limits? No... I don't think so. I like to try, and I always make a point in saying that I don't necessarily think I succeed, but I always try to write about something in a way that feels funny and where the language hopefully doesn't feel... For example, if I'm going to write an essay about farting, I'm going to put a lot of effort into how I do that in a way that I hope doesn't feel like someone standing up on a stand-up stage and being like, "So, farting, right? Like what the f?" That's what I'm trying not to do which is why I wanted to write it. You have so much more control and so much more time you can invest in the language that you use and the way that you present things. You have so much more power than you sometimes do when you perform live. So if I can figure out a way to do it that feels funny to me, then I don't think anything is off limits. Just for the record, I had made a conscious effort that I wasn't going to mention farting at all but you just blew that out of the water now. Thank you! I really, really appreciate that and look at what I did. I punished myself because you were being good to me and respectful, goddamn it. You've had imaginary orphaned teen models and an imaginary bulldog. Do they still come to visit from time to time? The imaginary orphaned models don't but the dog absolutely does. But the thing is I don't live alone anymore. I went and got myself a husband. I feel that has cut down on my visits from my imaginary friends. However, I do work from home and my husband doesn't, so as anyone who works from home knows, you do get to do quite a bit of talking to yourself. The dog... Not quite as much as she used to, but she's still around. Cool. But no new imaginary people or animals? No. I kind of wish that the answer was yes, but I feel like I'm getting less and less creative as I get older. Well, you finally have a roommate now that works for you. How does your mother feel about your books? Um.... she is happy that I have work, I think. I think that overrides most things. She has a a good sense of humor, so she's okay. I think. I hope. Unless she's being dishonest with me, but she's not a great one for stifling her natural feelings, so I cant' imagine that that's actually happening. Have you had any backlash from people that are mentioned in your books? No, I haven't. I feel like the people I write about negatively--what I think of as negatively--are mostly people who aren't in my life, you know what I mean? Who knows what can happen. At the moment, I've come out relatively unscathed. But I say that and someone can send me the email tomorrow that I would feel horrible about. I'm a ticking clock with that. Are people are a little more guarded around you now? No, I don't think so. But again, who knows if I'll have a different answer to that in another two years. I find that the more you do something professionally that paints you as a very honest and forthright, it actually brings out that same quality in other people. I feel like I'm one of those people who ends up hearing everybody's secrets instead of having them kept from me because somebody thinks I would end up writing about it, which, if we had a real relationship, I would never do. Any chance we'll see a reading tour from you? I'm currently making my way through our fair nation. Relatively limited stops, though. I'm in New York, where I've been doing a bunch of stuff. I'm onto Chicago next and then finally onto Los Angeles. Let's talk about your taste in music: it can't really be as bad as you make it out to be, can it? Well, you know, it can and it can't. With any of these things, you take what's funny and what's true and you sort of blow it up and ignore the parts of the story that aren't funny. What is true is there's music that I do think that you, as a man of taste I'm sure, would think is good music and you would like to listen to and I would also like to listen to that music, too. To that extent I suppose I have okay taste. But when I write about my passion for really bad music, or if you were to see what's on my workout mix, it's that bad. If I'm working and I want to treat myself to something, I am going to put on a really bad Rihanna song or something by Alanis Morissette and that's going to be my four-minute break from what I'm doing. That is very real. 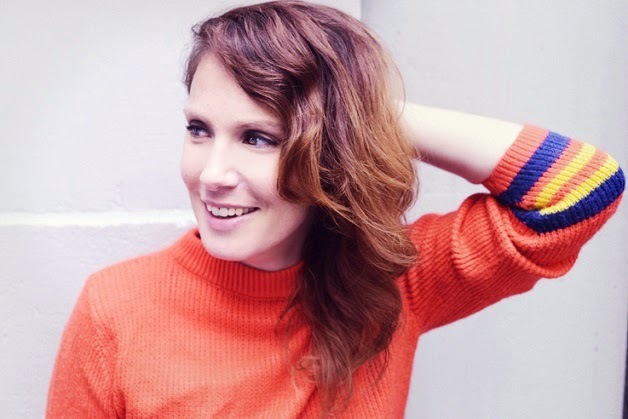 What do you think of the new Tori Amos song? Listen, my taste isn't even good enough that I'm staying up-to-date on the new Tori Amos songs. That would be too fashionable for me. If you want to talk about Little Earthquakes or something like that, we can get into it. But I don't even know what you're talking about now. Final question: what do you find funny? What do I find funny? I find self-deprecation really funny. People who hate themselves and make that into art, very funny.